That's right, a giveaway! Yay, I'm super excited. But first, my stuff. I didn't try to workout on Thursday or Friday, I was just lazy recuperated and today I decided to give the walking and jogging another go. I started out walking, nice and slow and it felt good. So I sped it up some and that felt good too! Then I jogged slowly for a minute and walked again and STILL felt good, so I jogged for 5 minutes straight and then cooled down. I immediately stretched, took an ibuprofen, drank hot cocoa with glutamine and iced my knee. Then I took a nice hot bath and I'm not in any pain. I'm so happy! I'll let it rest again tomorrow, maybe do pilates, and then I'm going to give the 1 minute walk, 1 minute run a go on Monday. Last night hubs and I went to see Chronicle. It was hubs pick but I really enjoyed it!! After than we just came home and were lazy. I had the yummiest dinner (which I had tonight too) of waffles topped with the amazing chocolate peanut butter, banana slices and chia seeds. SO GOOD!! I think I could eat it all day!! Now for the really good stuff!! I love headbands when I run, but I could never find one that stayed on. I've tried tons of different brands but could never find the perfect one. Then I saw that Kara of Chickbands was doing a promotion to help Christina raise money for her Ride for the Heart﻿ so I bought headbands for me and the girls, expecting cute and that's about it. They got here super fast and I loved the way they looked! The girls wore theirs for the Disney Kids Races and they all stayed perfectly. Post race, still in place! Then I wore my red sparkle for my half and it stayed the whole time, I never thought about it and it was perfect. My hair still looks good 13.1 miles later! After the race and a shower I slid on the silver glitter. I cannot say enough about how great I think these headbands are! They are cute and THEY STAY PUT!! I've been alternating between the 3 different colors of sparkle I got from Kara most days since the race, they are so comfortable and cute and they don't ever bug me or slip. Kara has been kind enough to allow me to give away 3 of her Chickbands and the winners each get to pick their own style. I'm so excited about my first giveaway I can hardly stand it!! Thanks again Kara! This review is an honest review of the Chickbands and I have not been compensated in any way. I purchased Kara's Chickbands and totally fell in love with them. This giveaway is in no way sponsored, endorsed or administered by, or in association with Facebook. Every time you complete any of the above entries you must leave a separate comment for each on this blog post. You must comment below for your entry to count. Enter me enter me!! I desperately need some headbands. I like the personalized ones and the silver and black zebra one. Fun giveaway! I'm a follower, those headbands are super cute! By the way, are you on twitter? I am on twitter, but have yet to ever tweet, I just follow people. Well, since I plan on copying your Snow White costume, I need a red sparkly headband! I can't wait to see your Snow White costume!! I've wanted to try out headbands for a while. It's been hard to find ones that won't slip. It would be so exciting to try a purple sparkle! liked Chickbands on fb, my name is Natália Anna B.
this is in my favourite color!!! awwww <3 so beautiful!!! gunmetal! yea for anything gunmetal, but that super skinny is the radness!!!! I love love LOVE your costume! That is pretty much what I am trying to do for the Princess Half but all I have so far is the tutu! I need to get on it! And what is Chronicle? It's about Seattle? 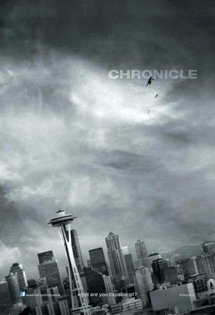 Chronicle is a movie about 3 teenage boys who gain super powers. They live in Seattle. My "Snow White" headband was the thick red glitter, to like like Snow White's headband. Did I make it? I'm a follower. You made it with 2 hours to spare Carrie, we're both on Pacific time. I liked them on FB. (bad part about reading blogs on my phone - I forget to go back and actually enter the giveaways).